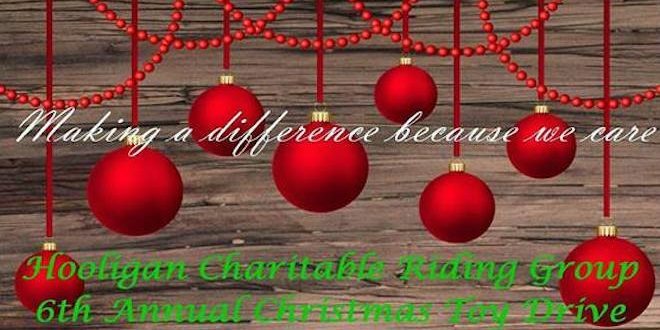 Help brighten the holidays of local area children by donating a new, unwrapped toy to the Hooligan Charitable Riding Group‘s 6th Annual Toy Drive. Donate a toy and get a free bowl of chili! Toys are collected and donated to Mt. Pleasant Baptist Church to be distributed to families in need this holiday season.